Specialising in early childhood education and pre-school programs is Eurokids. In an interaction Amit Singh, National Business Manager, EuroKids shares the continual growth of the company on pan India basis. Namita Bhagat (NB): Share the origin and growth of your company and how did the company opt for franchise route? 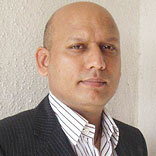 Amit Singh (AS): EuroKids International Ltd started its operations with the publishing business in India in 1997. EuroKids International brings in world's best brands like Disney, Mattel, Enid Blyton, Noddy, Tin Tin and Agatha Christie among others to India. In 2001 EuroKids Pre-Schools were launched with an intent to bring good quality content and world class learning environment to Indian children. We observed that the pre-school space is a highly fragmented market with little entry barrier but a strong need for quality education. It lacked a standardised, structured and age appropriate curriculum and was run mostly by individuals with limited/no experience and resources. This observation inspired us to take off. The strong need for quality education acted as our motivation. We went ahead with an intention to create a base in 35 top towns and cities and this could have been only achieved through franchisee model. But within the first year itself we had touched 78 cities. The rest is history. NB: Could you share the number of locations you currently have and how many are expected in coming years? AS: We started with two pre-schools and today we are a strong network of 780 franchisees spread across in 280 towns and cities in India and still growing. We plan to reach each and every town and city in the country. NB: What are the requisite qualifications for the potential franchisee of EuroKids? NB: Tell us about the space requirements to open a pre-school centre of Eurokids. AS: To qualify to be a EuroKids franchisee one would need to possess a minimum area of 1500 sq.ft (self owned or rented) in a quiet, tranquil and peaceful residential locality. The premises should be on ground floor with an open outdoor area to match, which will act as the outdoor play area. The premises should also have independent access, attached toilet facilities and should be well ventilated. Preference will be accorded to independent houses with above mentioned minimum facilities. As a general rule bigger the area better are the chances of securing the EuroKids pre-school franchise. NB: What is the initial capital outlay needed from the prospective franchisee’s end to launch the Eurokids centre? AS: Typically a franchise setup will cost about INR Five to 10 lakh 5,00,000/- to INR 10,00,000/- depending upon the location. This cost would include the cost of ambience, equipment and start up franchisee fees. The availability of franchise in specific geographic areas must be discussed with the EuroKids franchising team in the specific territory for which the prospect has interest. NB: What kind of training and support is provided to the franchisee partnering with you? AS: We train our franchise partners in the EuroKids curriculum and delivery methodology, as well as business strategies for operating a successful EuroKids franchise. In addition to this franchisees also take part in our continuing skill enhancement programs.